But if you’re Tiger Woods, it’s a final chance to prove to the world that you are back. Or else you will have to wait until next April. Right or wrong, that’s simply the way it is. 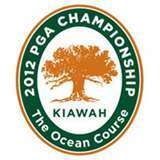 Woods comes into this week as the betting favorite on 2012 PGA Championship Betting Odds available at Bovada Sportsbook. Woods has been set with odds at 8/1 to win his fourth PGA championship of his career, and his first Major since 2008. And when you look at the betting odds this week, there is definitely some separation from Woods and the rest of the field. But while Woods is obviously not at the top of his game right now, there really isn’t another player who is playing well enough such that they warrant the label of a favorite, or close to Woods this week. Rory McIlroy and Luke Donald come in as the second overall favorites, both installed at 18/1. But that is significantly behind Woods on the odds. And neither McIlroy nor Donald have been playing particularly consistent, especially McIlroy. After a blazing start to 2012, McIlroy has definitely fallen back. Lee Westwood is set at 20/1, a staple in the top-five favorites to win a Major despite the fact that he and I both have the same number of Major victories. But at 20/1, he comes in fourth on the list of odds. Adam Scott will be a player of interest this week, after choking down the stretch at the 2012 British Open in July. Scott held a four-shot lead with four holes to go, before falling apart with four-straight bogeys and losing to Ernie Els. Hopefully that will not define Scott, and he bounces back at Kiawah Island. He is too good of a player to not have a Major championship win to his resume. Some other players in the top-10 this week include Jason Dufner, who was the runner-up to Keegan Bradley in the 2011 PGA Championship in Atlanta. Dufner is arguably the player of the year thus far in 2012, as a multiple time winner. Bradley, the defending champion, just won the second biggest event of his career last week at the WGC Bridgestone Invitational. So you know he comes in with a ton of confidence. Check out the complete field betting odds below as seen on Bovada, so if we didn’t mention your favorite golfer be sure to see how they fall in the betting lines.